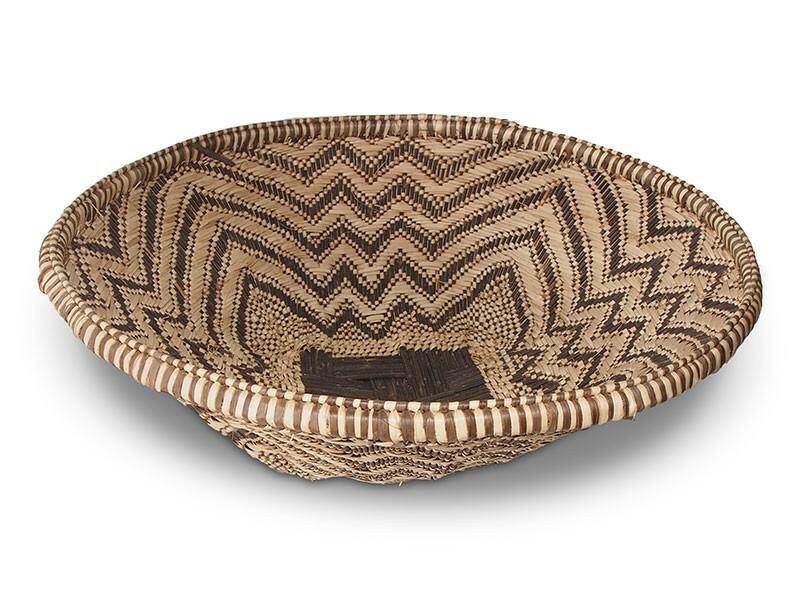 These baskets are woven by the BaTonga tribe from dried palm leaves between a structure of twigs. It has a square base and a wide round rim. Traditionally these baskets were used to store food or for winnowing grain. 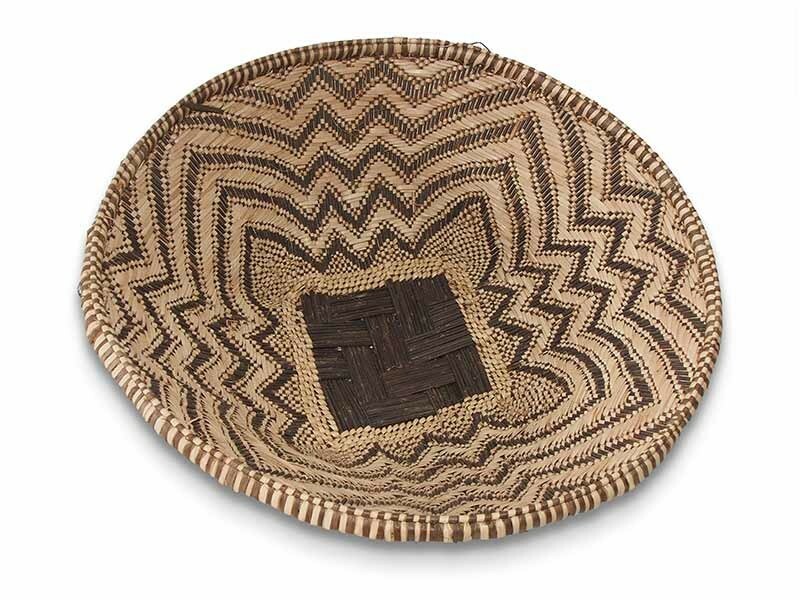 The Plateau basket is also often referred to as a "wedding" basket and are given to the newly weds as gifts.